Submitted by bohneyjames on Thu, 04/11/2019 - 8:17pm. Submitted by John J on Thu, 04/11/2019 - 7:29pm. The tower directly in view is the Candler Building (built in 1906 by Coca-Cola magnate Asa Candler), while the one just to the right is the Rhodes-Haverty Building (completed in 1929; Atlanta's tallest until 1954). Both are still standing. The photo was taken from within what is now the Martin Luther King Jr National Historic Site. 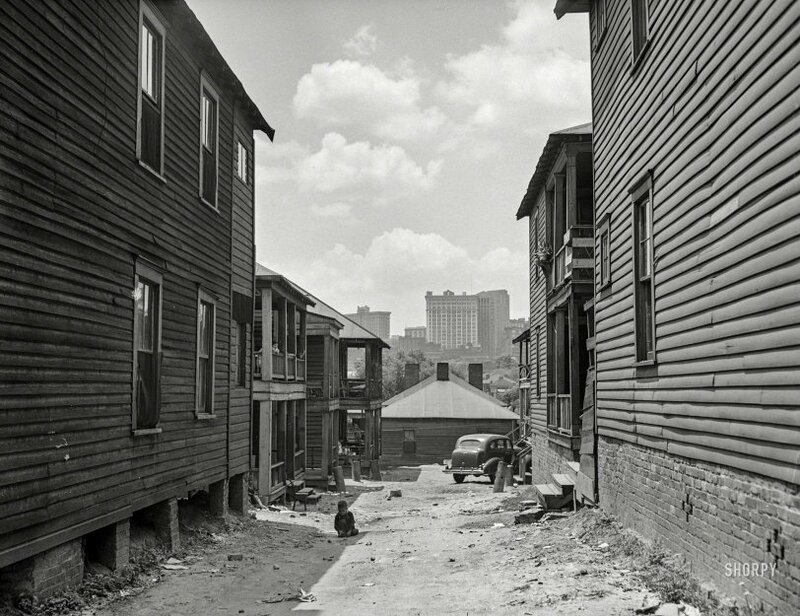 I suspect the location is Jackson Street just north of Auburn Avenue where the Ebeneezer Baptist Church and the King home are located.